One of Gibbon’s aims is to save teacher time by offering a system of Smart Workflow. Part of this process is arguably one of Gibbon’s most time-saving features: the ability for students to submit work online. The result of using this feature is an organised collection of work, attached to a lesson, rather than a disparate set of emails or Google Docs. If you are interested in using this feature, you can enable it in the Lesson Planner edit view. 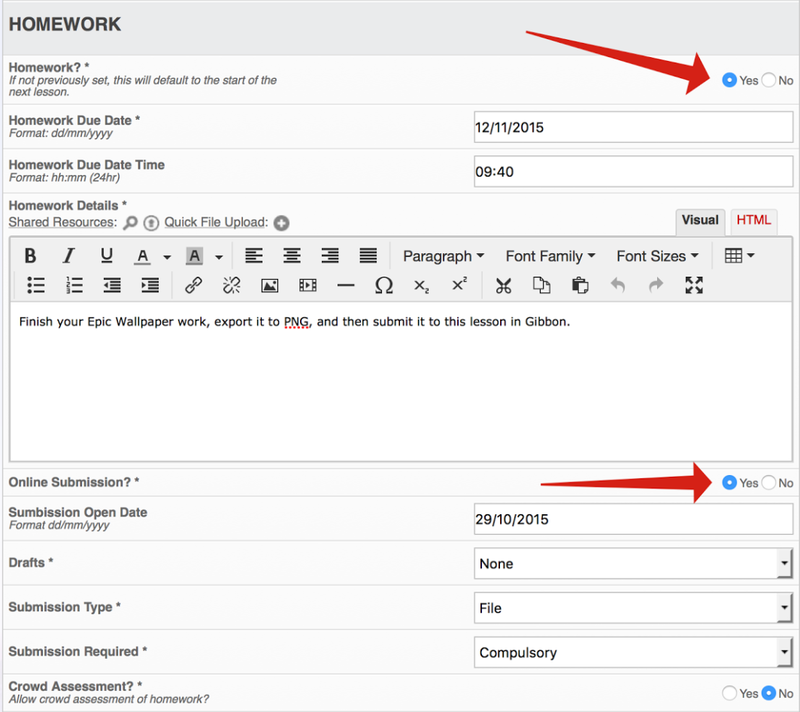 Once editing a lesson, scroll down the to Homework section, and turn homework on, entering deadline and other details. Taking this further, you can also show the submitted work in the Markbook, and thus view and mark in one place. It also allows parents to see the work that has been assessed.